Online and published quarterly, The Urban Transcripts Journal aims to unravel the complexity of the City through a synergy of verbal and visual content. Our core mission is to advance a multitude of knowledges of the City, formulated through creative media, research inquiry, urban design and planning practice. We are particularly committed to promoting original work by young researchers, professionals, and creatives, including postgraduate and PhD students. 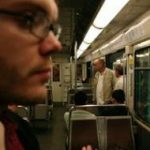 Beyond the traditional article format we publish work in a variety of formats and media, bringing together theory and practice in a creative, analytical, and critical discourse on the city; an urban transcript where the arts and the sciences of the city complement and confront one-another. Yiorgos is a London-based architect and urban designer, passionate about the relationships between the spatial structure of cities and their socioeconomic and cultural life. The founder and director of Urban Transcripts, he has initiated the company’s work by producing international participatory and public event programmes – exhibitions, workshops, and conferences – on the critical exploration of cities and their development (Athens, 2010; Rome, 2011, London 2012; Berlin, 2014). Currently he is working on the development of Urban Laboratory projects bringing together research, community participation, and design, to create innovative urban design and policy solutions for cities and urban areas. He graduated in Architecture from ENSA Paris-La-Villette, Paris and holds an MSc in Advanced Architectural Studies from The Bartlett – UCL, London, where he trained on empirical spatial research with a focus on how the spatial structure of the built environment impacts on its socioeconomic potential. For 2014-2015 he was a design studio lecturer in architecture in Umea School of Architecture, Sweden. He has been an advisor and a speaker in various initiatives and projects focused on the city and a reviewer in academic journals. 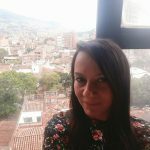 Nina is an urban sociologist and currently doing her PhD at the Georg Simmel Centre for Metropolitan Studies, Humboldt University of Berlin on urban youth in Spain. She has studied in Germany, France and UK where she graduated in Urban Studies at the University College London and Bartlett School of Planning. Her research interests include political economy, urban sociology and the sociology of emotion. Nina has international experience in the creative and cultural industries both in the public and private sector where she has been working in projects on film, photography and art in Germany, Spain and France. 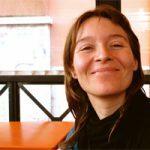 Since 2014, Nina has been actively involved in Urban Transcripts co-organising the international urbanism workshop Berlin Unlimited and most recently as Managing Editor and reviewer of the Urban Transcripts Journal. 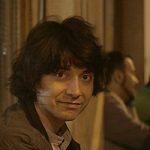 Alessandro Froldi is a social anthropologist working at the intersection of governance, planning and everyday life controveries. He studied anthropology at the University of Milano Bicocca and completed an MA in Architectural Design and Urban Management at Domus Academy. His research interests lies in questions of community empowerment, social justice and commoning with a focus on how people experience, envision and create their shared environments. He has conducted fieldwork with residents in a working class housing estate in Milan and with environmental activists, farmers and sheperds in Sardinia. Since 2013 he has been based in Scotland and has been involved in collaborative research research and organising with anti-poverty and homeless campaigning. 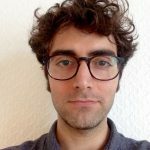 In 2016 he completed his PhD in Social Sciences at Loughborough University and in 2017 he worked as a research assistant at the University of Lincoln on an interdisciplinary project between environmental humanities, arts and sciences looking at industrial pollution in South Sardinia. 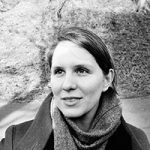 Sara is based in Berlin, and works as an urban planner, designer and architect. Her work involves both German and international projects, spanning a range of scales, from city and regional planning to housing design. After graduating from at Dublin Institue of Technology, she worked as an architect in Dublin and Moscow. Following her passion for large scale planning and strategy, she went on to do a European postgraduate Masters in Urbanism (EMU) between TU Delft and IUAV Venice. The topic of her final thesis was sustainable rural planning. Bridging her interests between theory and practice, she has copy edited a number of works focussing on urban planning and landscape architecture. She is passionate about urbanism and the phenomenon of cities and territories, their systems, populations and dynamics. Key projects she has worked on addressed urban regeneration, sustainable rural planning, hybrid landscapes, new towns, city expansions and post-industrial territories. 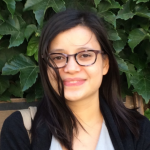 Sara has been involved with Urban Transcripts as content editor since January 2018, and very much enjoys working with the team on shaping the direction of the journal. 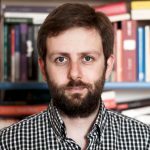 Theodoros Dounas is an Award-winning chartered architect and academic, investigating in computation and fabrication in architecture and design, with practice experience in complex buildings of all scales. He is the founding partner of the architecture office ‘Adventurous Architecture’. He is currently associate professor in the department of Architecture at Xian Jiaotong Liverpool University in Suzhou, China. He has been teaching in architecture schools and colleges in Europe and China for 10 years and has experience with basic and applied research in architectural design. His design and research work has been published internationally and he has received awards for both research and architectural design. His main research deals with methods and computer generative tools in architectural design. Karin Grundström is associate professor in built environment with a specialisation in architecture at the department of Urban studies, Malmö University, Sweden. She is passionate about furthering research that combines textual and visual forms and formats. 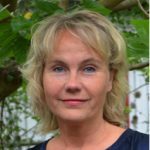 In her research, Grundström incorporates theoretical and architectural approaches with theory and methods from social science, and present results in verbal as well as visual forms – in research articles as well as in exhibitions. Theoretically, her research is based in the daily use of the built environment, in practiced and lived space and in people’s design and shaping of the built environment. Grundström has published works on urban design and planning; mobility; housing segregation; gender perspectives on housing; gated communities and the housing preferences of privileged groups. As an educator, Grundström lectures, lead workshops and tutor students’ thesis work at bachelor, master and PhD level. Grundström has taught and carried out research internationally, for example in Tunisia, Morocco, South Africa, Costa Rica, France, Sri Lanka, Germany and the U.S. In her current role as academic international coordinator at Urban studies, Grundström develops the international collaborations and partnerships of the department. 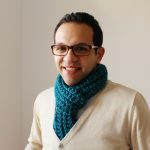 Mohamed is an architect, urban researcher and teaching assistant of Architecture in the American University in Cairo (AUC). He graduated in 2010 and holds a MSc from Cairo University with a thesis focused on the Social Impact Assessment SIA: Towards Achieving Socially Sustainable Urban Development. He is passionate about teaching and developing the design process with the students. He taught Architectural and urban design studios at MET and MTI Universities in Cairo, Then worked as a teaching assistant of ‘Urban Design’ and ‘City and Regional Planning’ -UK RIBA Validated Courses- in the Arab Academy of Science and Technology, Cairo (AAST). As an architect, He had been working with local and international organizations like UNESCO, UNDP and UNHCR in projects of designing new Urban communities, Informal Urban Development with public participation in Cairo, and Developing heritage and cultural sites in Giza and Luxor. He is also a co-founder of HDS|Architecture and Urbanism. Mohamed has been collaborating with Urban Transcripts since 2014. Also he has been a guest lecturer at many universities and participated in many international workshops in the fields of Architecture, Landscape design, Urban Development and Social Urbanism in Egypt, Greece, Germany and Italy. Sabine has years of international post qualification experience and worked at several award-winning practices in the UK, The Netherlands and China. Gaining experience in residential, healthcare, educational, cultural and commercial sectors as well as the design of public space and urban planning. Currently she is working as project architect at Mæ architects in London. Sabine studied at the Faculty of Architecture of the University of Technology in Eindhoven where she received an MSc in Architectural Design in 2006. She has a keen interest in all aspects of sustainable design, reinforced by her MSc degree in Environmental Design and Engineering, which she obtained at The Bartlett (University College London) in 2010. She has a special interest in environmental urban design and the impact of specific urban microclimates on the architecture and life in the cities. Besides her work as an architect Sabine has been involved in teaching in both The Netherlands and the UK. Marcella studied architectural history and restoration of architectural and urban heritage at IUAV in Venice and ENSA Paris-La-Villette. Following her thesis on contemporary architectural and urban developments in Shanghai, she trained as an architect in ENSAPLV, while working in professional practice in Paris. In 2013 she obtained her PhD in Urban Policies and Local Projects at the University Roma Tre in Rome. Her thesis focuses on the development of southern Italian cities. Her research interests include urban renewal and urban regeneration processes, with particular attention to the social processes of interaction of stakeholders and actors involved. Her approach to the study of urban practices of everyday life challenges established practices of urban regeneration and development and aims at their reform through a model based on bottom-up processes. Marcella has been actively involved in the Urban Transcripts project since its initiation as the kollektiva.net collaborative network. She is base in Torino, Italy, where she works as a researcher. Felipe is a trained architect from the University of Chile (2004) and obtained his Master in Architecture at the Catholic University of Chile (2008). He has worked as a practicing architect, researcher and educator. 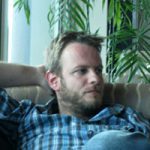 His academic interests are in the areas of architectural and urban design, history and theory; having presented his research in conferences and exhibitions in South America and more recently in Europe. Through his investigations on the notion of absence in urban leftovers, Felipe explores processes of design and representation as a way of prompting alternative understandings and interventions in the built environment. He develops these ideas at the Bartlett School of Architecture, UCL, where he pursues a PhD by Architectural Design. As an architect, Felipe’s work has ranged from territorial planning and management projects to the architectural scale. He is co-founder of ‘Devilat + Lanuza Architects’ and has been an active member of Urban Transcripts since 2012, having been appointed as Design Director during 2013. In this context, Felipe has developed his passion for urban design and speculative thinking on cities. I am an Associate Professor in Urban Studies at the University of Cergy-Pontoise (Paris Metropolitan area). My teaching interests broadly lie in the areas of human ecology, qualitative methods, urban project and mapping (I co-direct a Master’s programme in GIS applied to urban studies and risks). I also am a researcher affiliated to MRTE (Mobilities, Networks, Territoritories and Environment) research group – University of Cergy-Pontoise, and associated to AAU (Atmospheres, Architectures, Urbanities) research group – National Research for Scientific Research. My broad research interest relate to the mundane social and sensory experience of ordinary urban spaces and of daily mobilities. By doing so, my research aims at understanding the ordinary experience of urban areas by focusing on their sensory, social and cultural geographies on the one hand, and by taking into account their design and policies on the other hand. My last research projects concerned the experience and atmospheres of public transportation means in great cities. I am currently funded on a project that aims to understand the ‘weight’ of the threat of terrorism upon city dwellers’ daily experience of urban spaces in European metropolises. Valerie Mathis is a writer and editor. 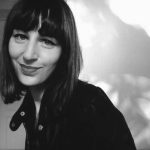 She graduated from an MSc in Urban Studies at University College London in 2014, writing a thesis on the spaces of creation and encounter in the neighbourhood of El Raval, Barcelona. She now regularly writes for the startup Typeform, and has published poems in Funhouse, a magazine of writing and illustrations. In 2013, she spent a year living Buenos Aires, exploring the collective urban dwelling of the conventillos, and soaking in the city’s rich theatre scene. She is currently completing her first year of studies at the acting school La Bobina. Up until today, she cultivates an acute interest in cinema and literature. Fabiano Micocci is an architect working on the intertwined relationships existing between public spaces and landscape, architecture and geography, with a special focus on the Mediterranean region. He is a founding member of NEAR architecture (www.neararchitecture.com), a network of architects working on small and large scale design as well as theoretical research. He graduated from University Roma Tre in 2002 and he has a Specialization Course in “History of the Design Process” (2003). He obtained his PhD degree from the University of Florence in 2010 with a thesis focused on the study of architecture in the Mediterranean after WWII. He taught at the University of Florence (2007-10) and the Lebanese American University (2013-14), as well as in many International Workshops. Actually he is Senior Lecturer at the Metropolitan College of Athens. Recently he took part of the “Inclusive urban strategy and action plan for Bab-Al Tabbaneh, and Jabal Mohsen”, a strategic development plan for the city of Tripoli (LEB), and he won the competition for a square in Rome. Stefanie studied Architecture at theUniversity of Applied Sciences Nuremberg and the Academy of Fine Arts Nuremberg. She completed her postgraduate studies in Urban Strategies at the University of Applied Arts Vienna in 2009. Since then she had the opportunity to gain experience in the field of research, architecture, interior design, product design and urbanism. She worked for several architectural offices, including Studio Vlay, Vienna/Austria, Coop Himmelb(l)au, Los Angeles/USA and LAVA (Laboratory for Visionary Architecture), Stuttgart/Germany. Currently she is working as a Design Architect and leader of the competition team at KINZO Berlin/Germany. During her studies she developed a strong interest for understanding different cultures and started to research about identities and their interactive relation to design, architecture and the urban environment. Inspired by her interest in visual as well as performing arts and music her research is focused on how space can be transformed from one’s surrounding to one’s experience. Carlo Pisano, architect, PhD in architecture and urban design and research fellow. He has completed the “Postgraduate Master in Urbanism” at TU Delft in 2011. 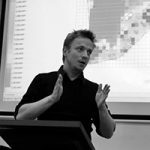 In 2012 his master thesis, entitled “Colouring the Patchwork Metropolis”, has been rewarded by the Dutch StedembouwNU as one of the best thesis in Urbanism and Landscape in the Netherlands for the years 2010-2011. In 2011 and 2012 he worked for the Studio Associato Bernardo Secchi e Paola Viganò in Brussels on different scales projects such as the masterplan of Nieuw Zuid in Antwerpen, the vision of Brussels 2040 and the project of the Great Moscow. 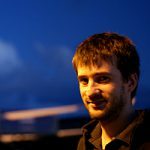 In 2016 he earned the title of “Doctor Europaeus” with the PhD thesis “Patchwork Metropolis. Un modello teorico per il progetto dei territori contemporanei”, tutor prof. G. Peghin (University of Cagliari) and prof. P. Viganò (IUAV Venice – EPFL Lausanne). From 2013 he has been lecturer, professor under contract and visiting critic in many European universities. From 2016 he is PostDoc at the University of Cagliari and consultant of the University of Florence for the Strategic Metropolitan Plan of Florence. Isabella Rossen is an urban sociologist with a special interest in the interrelationships between built form and its social and political context. She completed a MA in Contemporary Social Thought at the London School of Economics and Political Science. Her thesis at LSE investigated the various configurations of cosmopolitanism that present themselves in Brick Lane, London. Subsequently she did the Research Master Urban Studies at the University of Amsterdam, with as thesis project a comparison between the socio-ecological impact of the establishment of new metro connections in Hong Kong and Amsterdam. She has written multiple articles on the interaction between architecture, urban development and wider societal issues – for example discussing the future of the workspace and the role architectural icons can play in cities’ creative status – for online magazines Urban Times, Failed Architecture and The Proto City. 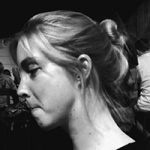 Currently she works in Communications and Research at Rem Koolhaas’ architecture practice O.M.A in Rotterdam and is editor of urban blog The Proto City. 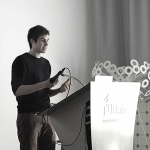 Antun Sevšek is a freelance architect and researcher who graduated from the Zagreb Faculty of Architecture in 2006. He was part of the curatorial team of the international research project Unfinished Modernisations and the editor of the subsequent publication in 2012. In the following year, he curated, designed and edited a series of exhibitions and a book titled Spaces of Co-Operation along with Maroje Mrduljaš and Damir Gamulin. He has designed numerous exhibitions and projects for cultural institutions. Among them, he recently realised the new Memorial Centre Lipa Remembers museum together with Damir Gamulin. He is a longtime member of Platforma 9,81, an NGO for research and education in architecture and urbanism. Since 2014 he has been active in the Right to the City organisation in Zagreb where he is engaged with the topics of urban and national spatial planning. He is currently employed in the Alliance Operation city NGO where he is dealing with the analysis of urban management policies along with the development of new institutional models. Athens-based researcher and architect. 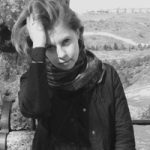 She holds a diploma of Architect Engineer and a MSc in the postgraduate program ‘Architecture – Spatial Design’ both in the department of Architecture in the National Technical University of Athens (N.T.U.A). She works as a professional researcher both in academia and in art projects. She currently is a PhD candidate at the department of Architecture in N.T.U.A., where she also works as teaching and research associate. Her academic research deals with methodologies of mapping and designing, further specialising in city reading and mapping methodologies in the context of urban design processes. Her interdisciplinary approach combines theory, fieldwork, experiments and applications. Concepts included in her research interests are: city and public urban space, lived experience and sensorial perception, topography, urban space semiotics, object-subject interaction. Natalia is an architectural designer and urbanist, based in Berlin. 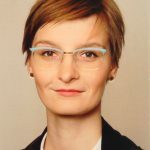 She holds a professional degree in architecture from the Technical University of Yaroslavl, Russia and a postgraduate degree, Msc in European Urban Studies from Bauhaus University, Weimar (Germany). Her final qualification thesis explored the informal bicycle practices and role of pop-up initiatives in transformations of public space in the city through an empirical case study in Yaroslavl, (Russia). Natalia gained experiences in urban research, architecture, landscape architecture and urban design and curatorial practice during her work in several architectural offices in Germany and Russia and collaboration for variety of international projects – exhibitions, workshops, conferences and summer schools on architecture and urban issues. Currently she is working as an architect in Berlin. Natalia is inspired with complexity of planetary processes of (capitalist) urbanization and is keenly interested in understanding territorial transformations, exploring the urban and the non-urban as categories of socio-spatial and geographical definitions. 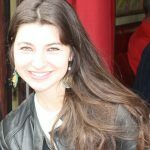 Natalia has been actively involved in collaboration with Urban Transcripts since 2013: several competitions and workshops. As a part of UT team she has been co-organizing Berlin Unlimited urban festival in Berlin in 2014. Penny Travlou is a Lecturer in Cultural Geography and Theory in the University of Edinburgh, UK. 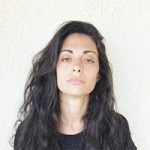 Her research focuses on theories of space and place, politics of public space, distributed/decentrilised networks and the commons while her current ethnographic fieldwork is between Medellin, Colombia looking at cultural commons in grassroots art collectives and in Athens studying commoning practices within solidarity networks. She is also involved in the EU COST Action ‘From Sharing to Caring” examining socio-technical aspects of the collaborative economy. 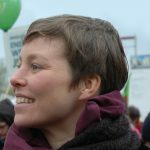 Alongside her academic career, Penny is a spatial justice and urban commons activist, a member of the newly launched Alliance of the Commons and a research team member of the P2P Foundation. 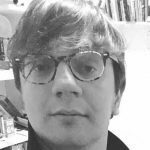 Mario is a PhD candidate in Sociology at Goldsmiths, University of London, with an interest in urban informality and the sociology of everyday life. His thesis consists of an urban ethnography focussed on the relationship between everyday practices of public space and informal forms of governance in central Naples. Before that, he earned an MSc in Sociology at the London School of Economics and Political Science with a dissertation on the spatial practices of anti-mafia movements in Southern Italy. In critical sympathy with the postcolonial appreciation of urban studies, he is particularly attentive to the debate on the nature of cities and the geography of theory. Besides urban sociology, his area of interest includes social theory and the philosophy of social science. 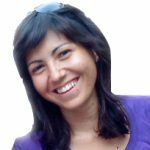 Carolina Vasilikou (Dr.) is an Architect and Lecturer in Architecture at the University of Reading teaching design studio and with a focus on urban design, housing, environmental design and technology. She holds an MSc in Façade Design & Engineering from the University of Bath and a PhD in Sustainable Architecture from the University of Kent. Carolina also teaches at postgraduate level at the School of Architecture, University of Kent and carries research in collaboration with l’Université Catholique de Louvain. 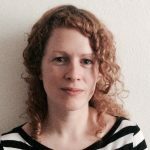 She leads projects on sensory research and well-being in urban spaces based on primary fieldwork, including a Digital Humanities Fund (University of Kent), an AHRC Engagement Fund in sensory navigation and an EPSRC-funded project on sensory mapping of heritage cities. Her research work focuses on sensory perception and urban comfort of pedestrians in complex urban environments. Carolina is active in people-centred and evidence-based design and research and has participated in several international conferences and workshops. She has given lectures, among others, at the Architectural Association, ENSA Paris-Malaquais and Glasgow School of Arts and is currently a member of the Urban Living Research Centre at the University of Reading, Architecture et Climat at Université Catholique de Louvain, the EU COST Action People-Friendly Cities in a Data-Rich World Project and the Academy of Urbanism. Athina studied Architecture at the National Technical University of Athens (BArch, March) and Urban Design at the Bartlett School of Planning, UCL (MRes) graduating 1st with Distinction. Her studies were funded by the A. G. Leventis Foundation. 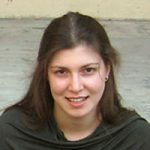 Athina is passionate about the interdisciplinary study of urban systems and experienced in working at different scales and combining various disciplinary approaches. She is particularly interested in the application of science-based methods in grasping socioeconomic urban phenomena and in the potential of technological innovation in generating smart urban processes towards the amelioration of life quality in cities. She has practiced as a designer and project manager in private practices and as a freelancer. Her design work has been awarded and her research work has been presented in international urban planning and design conferences. She is currently based in London working as a Project Consultant with Space Syntax Ltd. She is a member of Urban Transcripts since 2014. Neelke works as a democracy promoter in theory and practice. She has studied political science and philosophy in Berlin and Venice. Her research is dedicated to political communication and organisation, anti-racism and feminism, conflict management and public participation. Her work aims at a better understanding of what we need to live freely and peacefully together. At the moment, this is for example on democratic participation of non-citizens and the challenges for cities in an immigration society. As a journalist, she has published numerous articles on democracy politics and renewable energies. Renewables and climate change have as well been her focus as a workshop trainer. Sofia is practicing architectural and urban design as an independent architect in Thessaloniki, Greece. She graduated the school of Architecture of Volos (University of Thessaly) in 2006 and holds a postgraduate degree, MSc Urban Strategies (University of Applied Arts, 2009). Sofia is currently collaborating with other professionals and experts for urban and architectural projects. Her main interests focus on the bridging of the two scales, architectural and urban through the development of research or design projects as well as the organization of events such as workshops, conferences and exhibitions. She has been collaborating with Urban Transcripts since 2010. Sofia was an elected member of the Standing Committee on Architecture of the Technical Chamber of north central Greece, for 2010-2013, working on organizing events in the fields of architecture and urban planning and advising municipalities on urban development strategies and competitions. She is the co-founder and CEO at TKSX office of architecture and engineering and an external partner of the Polytechnic school of Aristotle University of Thessaloniki.